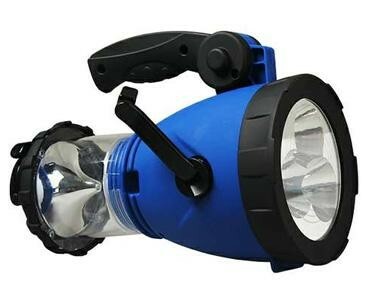 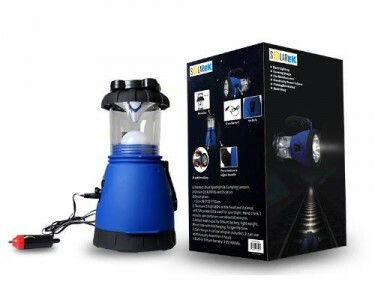 This super bright LED outdoor camping light is a versatile must-have on any adventure. 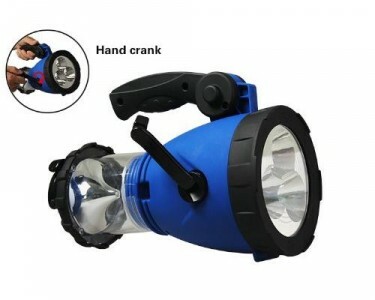 Ideal for emergancy use--just crank for 5 seconds for 10 minutes of ultra bright lighting and crank 1 minute for up to 60 minutes. 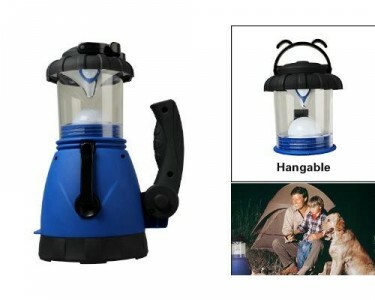 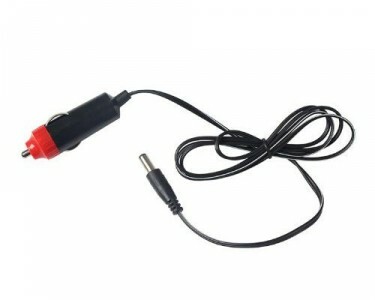 This light can also be charged by the car adapter for continuous use up to about 4 hours. 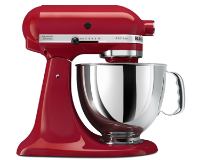 Handle is 90°adjustable, press the button to adjust the handle to the position that best fits your needs.